Ferrari can achieve success despite the departure of technical director James Allison, driver Sebastian Vettel says. The team announced on Wednesday that Allison was leaving, before this weekend's German Grand Prix. Vettel admitted the team faced "a big change", but added: "We have the right people on board. Things are heading in the right direction." The four-time world champion has backed internal changes made by Ferrari president Sergio Marchionne. "There has been a lot in the press, especially about our president and what he expects from us," Vettel said. 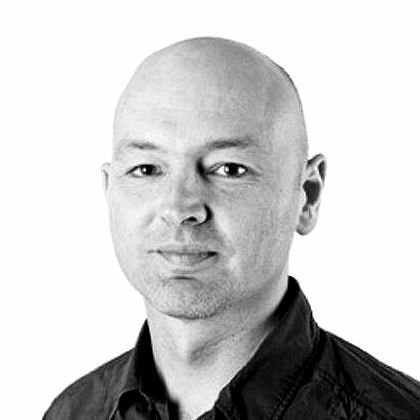 "It is good to see he is involved and is pushing the team very hard. He spends a lot of time in Maranello and knows what he is taking about." Vettel said he believed in team principal Maurizio Arrivabene as the right man to lead. "Maurizio has been in the business a long time," he said. "He is our leader and we are happy he is with us." Vettel's team-mate Kimi Raikkonen, who also worked with Allison at the Lotus team between 2011 and 2014, said he had "a lot of respect for him" and "I don't want to get involved". Allison split with Ferrari, in what was said by the team to be a "joint decision", three years after joining them with a view to bringing about a revival following a slump in form. It was his second spell at Ferrari - he worked as chief aerodynamicist during the dominant Michael Schumacher era of 2000-04. The technical director's first car last year won three races with Vettel, but Ferrari have made no further progress in catching world champions Mercedes and are yet to win a race this season. Allison has been replaced by Mattia Binotto, the former head of Ferrari's engine department, whose reputation as an engineering manager is strong within the team. Binotto was put in charge of the engine department after former head Luca Marmorini was dismissed at the end of the team's dismal 2014 season. He then brought about a major improvement in performance from the engine into 2015. It is now considered to be the second best engine in F1, reputedly less than 10bhp behind the standard-setting Mercedes in terms of outright power. 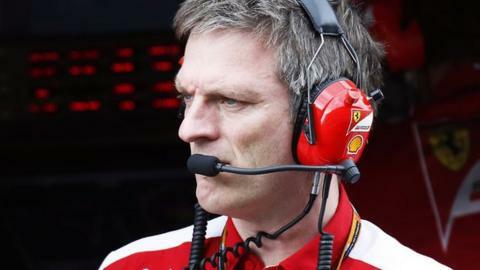 Ferrari do not intend to replace Allison directly, instead preferring to promote from within, feeling they have enough talent in the team to produce a winning car. Allison is widely regarded as one of the best technical leaders in the sport, and will be in strong demand among other teams. F1 halo: Will safety come before style? Read more on Formula 1 halo: Will sport put safety before style?